On the 18th day of Epic Giveaways, ARM and HEXUS bring to you: a chance to win a Fitbit Charge 2 fitness tracker. The ideal gadget to help shed some of that holiday weight and we have three up for grabs! The competition winner will be picked at random from all eligible entries that arrive by 22:00 GMT on the closing date, January 5, 2017. The winners will be notified via email by January 12, 2017. The winner must claim their prize within 7 days of the promoter sending notification. If the prize is unclaimed after this time, HEXUS reserves the right to offer the unclaimed prize to a substitute winner selected in accordance with these rules. 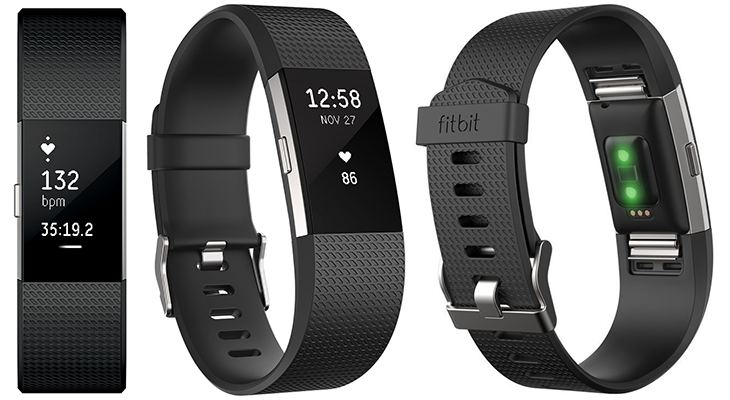 The prize is one of three Fitbit Charge 2 fitness trackers. Cracking prize. Many thanks Hexus. Can we choose the color of the prize? Most smartwatches are missing a chronometer which I need to be able to track the rest between sets in the gym.